BUY UP Index’s goal is to show you which companies are committed to gender equality, so you can shop accordingly—and use your spending power for good. To make that easy, BUY UP provides a numerical rating based on the company’s gender diversity initiatives in the boardroom, C-Suite, and workforce; its philanthropy and CSR initiatives; and on how it markets to women. Eventually, we hope the BUY UP Index will allow you to talk back to companies: to tell them what you like, and what you don’t. We only rate consumer-focused industries that are traded on the public markets. because they must disclose information that privately-held companies are not required to. In the future, we’ll invite private companies to self-report. We choose around 15 of the largest, most commonly known companies for each industry. Note that some conglomerates might be listed in more than one industry, and their ratings may vary in each, although the corporate information on leadership and policies will be the same, different brands will have different marketing and philanthropy which can affect their scores. We use the most recent information publicly available wherever possible. We use the most recent Annual reports, Corporate Social Responsibility reports, and Sustainability reports. We evaluate marketing imagery of the last two years, and plan to update all the rankings yearly. We took every effort to ensure the accuracy of the data, and contacted each company’s public relations office to give them the opportunity to confirm the data. If an error was made, individuals and companies are invited to submit a request for correction, which will be implemented within 30 days. If a foreign company has a U.S. division with its own executive committee and board, we will use the data for the U.S. division in our ratings. When rating foreign companies, we include their programs and policies in the United States, and not in other markets. A company’s dedication to Women’s Leadership accounts for 30% of the total Score. Are there leadership programs for women? Does the percentage of women in the C-Suite or Executive Committee **meet or exceed the current benchmark of 14% (average of Fortune 500)? Does the percentage of women on the Board meet or exceed the current benchmark of 16% ( average of Fortune 1000)? Does the percentage of women in management meet or exceed the current benchmark of 40% (average according to US Government Accounting Agency)? NB: Management figures are self-reported, and definitions may vary. **We use the number provided to the SEC of the highest paid executives. For non-US companies where that data is not available we count the executives with the word Chief in their titles, and if that is not applicable, we use the company's listing of top executives. A company’s ability to provide a working environment for employees accounts for 30% of the total score. Does the paid maternity leave meet or exceed the current benchmark of seven weeks? Does the fully paid paternity leave meet or exceed the current benchmark of two weeks? Does the company report employee diversity? Does the company report diversity in its supply chain? Does the company have programs for female employees, such as onsite childcare and lactation rooms? A company’s efforts to portray women in a way that breaks stereotypes in its marketing makes up 20% of the Total Consumer Score. To get this score, we reviewed at least five ads or images for each of the company’s six major brands. The average of this score makes up the Consumer Score. a) A man or woman doing an activity that has less than 50% representation of their gender (each grade must come with accompanying stat and source to substantiate). b) A mother in a non-domestic activity. Domestic roles are defined as activities involving cooking, cleaning, or housework—not childcare. a) A woman’s or man's body or body part if it is not connected to the product. For example, a brand would fail if a close-up of a woman’s buttocks is displayed in a coffee ad. However, if breasts are shown in a bra ad, this is relevant to selling the bra. b) A woman or man dressed in clothing that is not typical or relevant to the activity in the ad. For example, a brand would fail if it portrays a woman in a bathing suit who is not at the beach or near a swimming pool. Or a man in a swimsuit at the grocery store. c) A woman or man is shown as a victim of any violence. Does the company/brand have CSR programs that focus on women specifically? Is this program a one-off campaign or a long-term program? Does the company’s women-focused initiatives address an issue other than breast cancer? Is the company transparent about its CSR or philanthropy? Does the company publish a CSR or philanthropy report, site, or page? Does the company report dollar amounts of all donations? Does the company publish dollar amounts of donations to women’s programs? Does the company publish the financial contributions to its women-focused programs? Does the company have a nationally or internationally-focused CSR/philanthropic program for women? 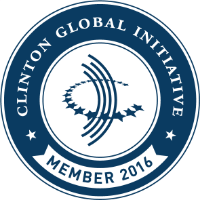 Established in 2005 by President Bill Clinton, the Clinton Global Initiative (CGI), an initiative of the Clinton Foundation, convenes global leaders to create and implement innovative solutions to the world's most pressing challenges.